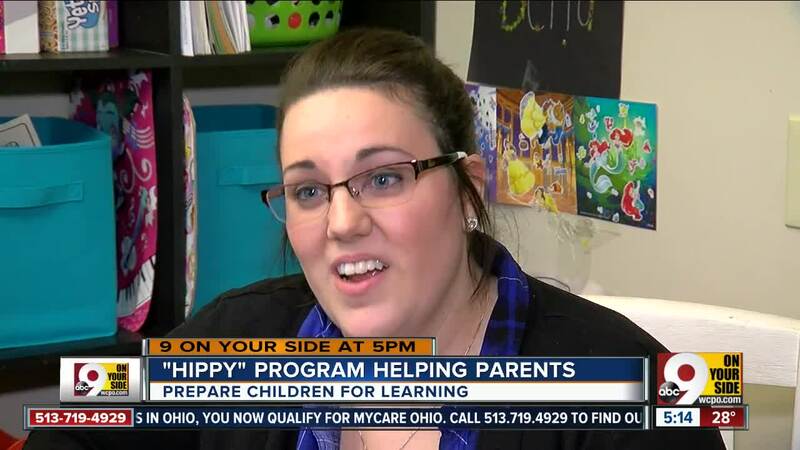 Thanks to a $100,000 grant from the Scripps Howard Foundation, Brighton Center has been able to expand its HIPPY program to more families this year, helping them prepare their youngest members for lifelong learning. HEBRON, Ky. — Ellie Arsenault is only 3 years old, but she’s an expert on Brighton Center’s HIPPY program. That’s because Ellie watched two older sisters go through the home-based learning program before she was old enough for it herself. “Once it was her turn, she was really excited to do it,” said Michaela Arsenault, Ellie’s mom. HIPPY stands for Home Instruction for Parents of Preschool Youngsters, and it’s designed to bolster parents’ role as their children’s first teachers. 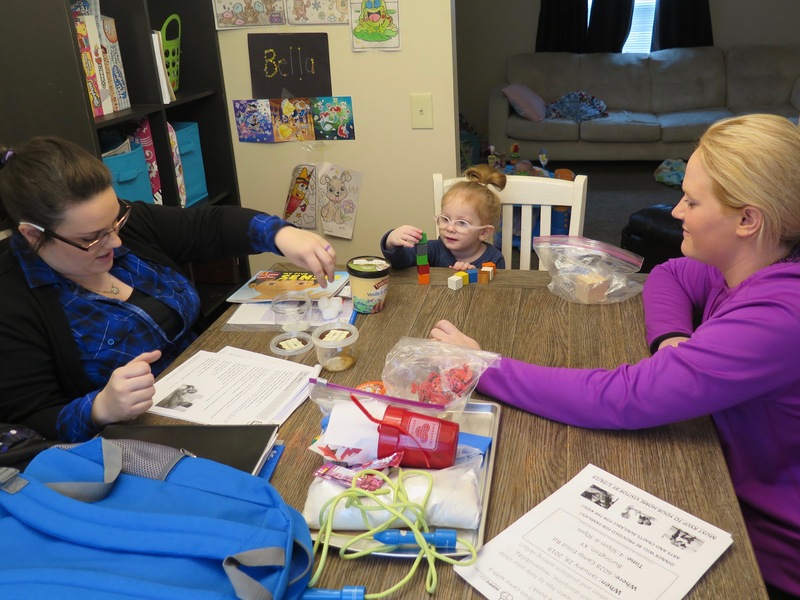 The goal is to help moms and dads prepare their children for kindergarten, and the program targets 3-, 4- and 5-year old kids in Boone, Campbell and Kenton counties. “It’s important for our children to have a good foundation when they walk into kindergarten,” HIPPY coordinator Jamie Coyle said. Sam Henwood, left, leads a HIPPY home visit with Ellie, center, and Michaela Arsenault. The numbers indicate it’s working: Brighton Center’s HIPPY program served 125 children last year, and 98 percent of those who had been in the program for at least six months were on track with their cognitive and language skills. Thanks to a grant from the Scripps Howard Foundation, HIPPY will help even more children in 2019, Coyle said. The foundation’s $100,000 grant allowed Brighton Center to hire two more HIPPY home visitors and serve an additional 40 children in Boone, Campbell and Kenton counties for a total of 166. The program isn’t only about teaching children. It also gives parents the vocabulary they need to communicate better with their children’s teachers and advocate for their kids once they start kindergarten, said Sam Henwood, the HIPPY home visitor who visits the Arsenault family in Hebron. “We build in a lot of developmentally appropriate lingo that lots of teachers and educators like to use,” she said. That way, parents know exactly what teachers mean if they start talking about kids’ fine motor development or cognitive development. Michaela Arsenault said the program has been terrific for her and her family. She signed up her oldest daughter for the program after hearing about it at a community event. That was more than four years ago. 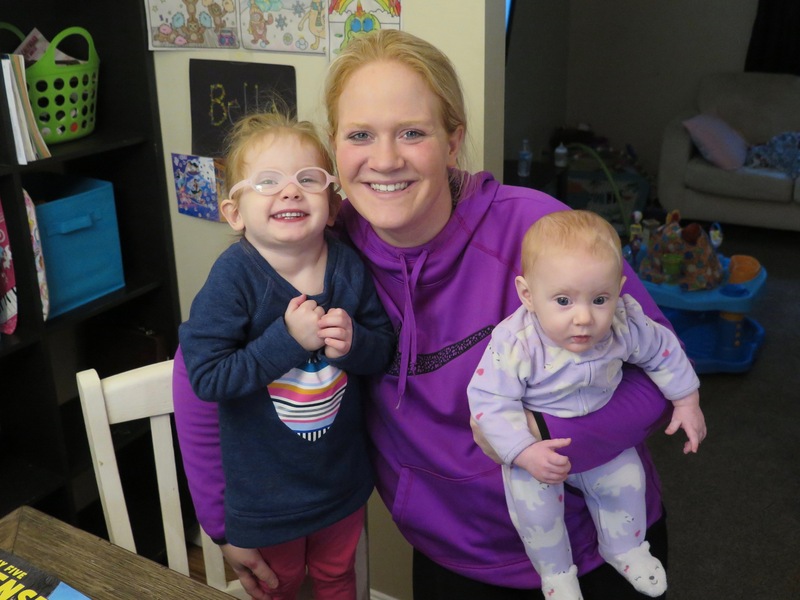 Michaela Arsenault, center, with her two youngest daughters. “It helped to build a routine with the kids as far as having that time to sit down and having learning time so they weren’t just sitting around the playing all day,” Arsenault said. The HIPPY program is free, and the curriculum includes activities related to math, science, language and motor skills. 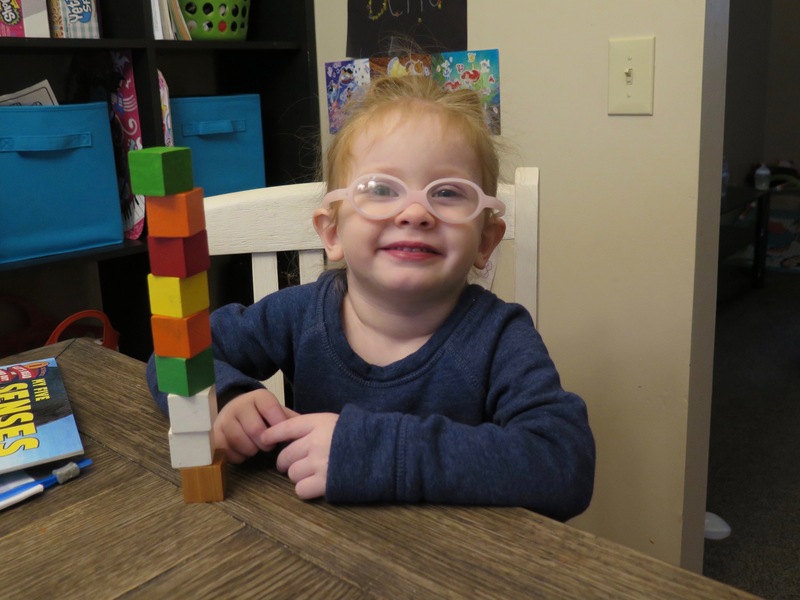 During a recent home visit, Henwood read a book about the five senses and then went over activities with Ellie and her mom while Ellie stacked blocks. Henwood also brought some diapers for Ellie’s baby sister and information about free tax preparation help and other programs that Brighton Center offers. For Brighton Center, it’s all about helping families get what they need to reach the goals they have set for themselves and their children, Sommer said. Sommer addded Brighton Center works carefully so families don’t get more than they need, which can make it harder for them to become self-sufficient, or less, which can make them feel stuck. Henwood said some parents quickly learn their toddlers are capable of more than they thought. Archenault said she would recommend HIPPY to any parent. If Ellie’s big smile is any indication, she likes HIPPY, too. Ellie Arsenault shows off her block tower during a recent HIPPY home visit. More information about Brighton Center’s HIPPY program is available online. Information about the Scripps Howard Foundation is available online, too.